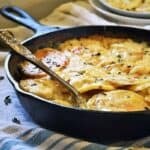 Easy, budget-friendly, and delicious! Our Stuffed Beef Roll made with ground beef, carrots, and eggs makes the perfect meal prep dinner. 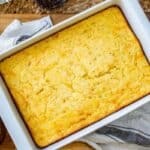 The whole family will love this recipe! I have eaten this Beef Roll many times since I was a kid. It was one of my mom’s specialties. 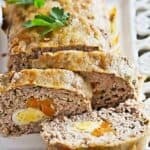 Beef Roll recipes are actually very popular recipes in my country (Bulgaria). Every family has their own version with different spices and stuffing variations. 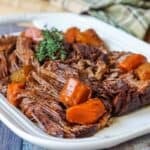 It is a favorite dish of every meat lover. 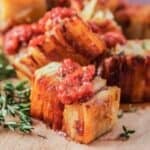 This particular recipe is probably the easiest and the most straight forward version, and you know what is the best thing about it? 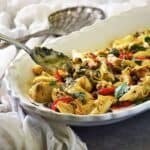 It is also an easy meal prep dinner recipe that you could make during the weekend! Imagine yourself coming home from work, tired and starving and you just open the fridge to find healthy and delicious food prepared for the whole family! 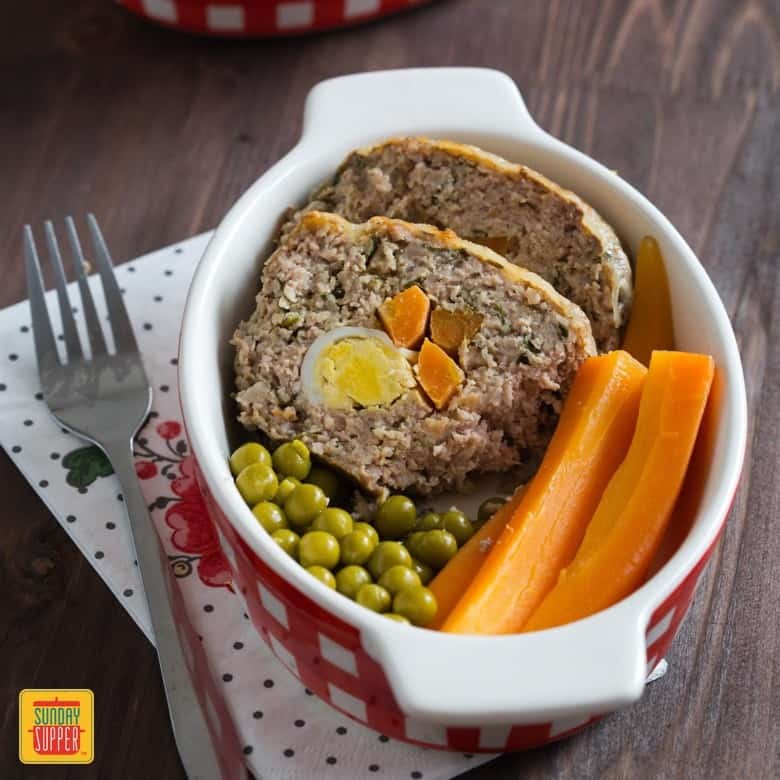 If you follow the recipe below, it won’t take you much effort to make this Stuffed Meat Roll with a side of vegetables ahead to save time during the busy week. Why is this Beef Roll a good choice for your healthy dinner? 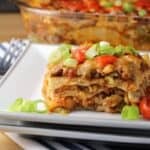 It is full of protein with vegetables on the side. If you choose a lean ground meat it will also contain little fat. We recommend using Certified Angus Beef® brand for best results. In addition if you separate the portions in advance into different containers, you will not only have a pre-made meal, but it would be less likely for you to over-eat in the evening. Believe me, I know very well the pain of being very tired after work and having to cook dinner from scratch. That’s why a Meal Prep Dinner is the best thing you can make for yourself on the weekend! Even better when the preparation takes you little time as with our Stuffed Beef Roll. When I say that this Beef Roll is easy, I mean that anyone could make it – even your teenage kids. And if by any chance they are not into carrots or green peas, you can change the side dish. 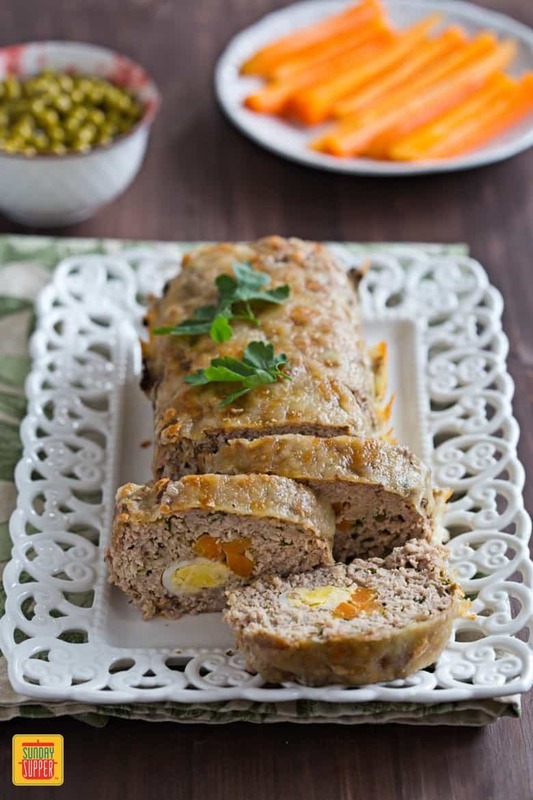 This Stuffed Meat Roll would go perfectly with Marmalade Glazed Sweet Potatoes or with Gluten Free Au Gratin Potatoes. It doesn’t have to be hard to eat homemade dinners every day. 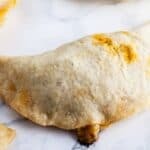 This Stuffed Beef Roll recipe will make your family happy and will surely give you some free time in the evening! In a medium sauce pan over medium heat bring water to boil. Peel the carrots, remove the tops and slice them into quarters. Put them in the boiling water and let simmer for 10 minutes. Remove the carrots with a strainer and set aside. Peel the hard boiled eggs and cut them into quarters. 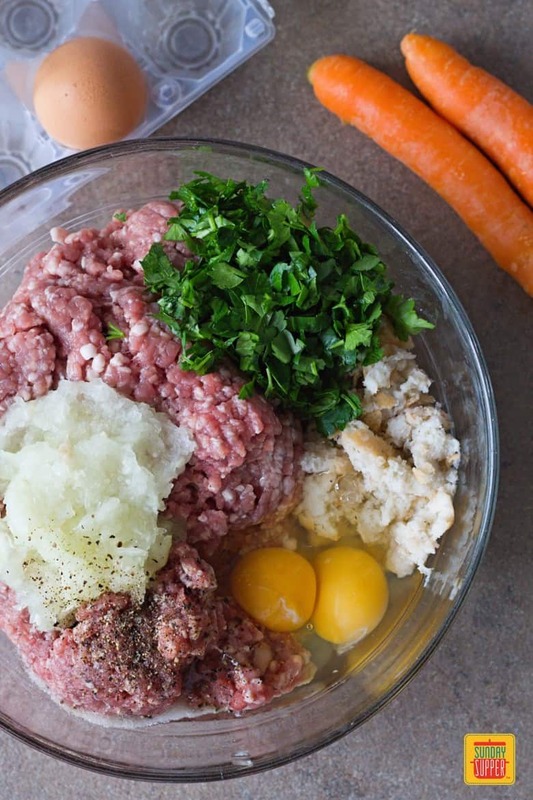 In a large bowl combine minced meat, 2 eggs, grated onions, parsley, the squeezed bread slices, salt and pepper. 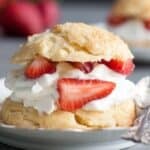 Mix very well with your hand or with the dough attachment of an electric mixer on low speed. 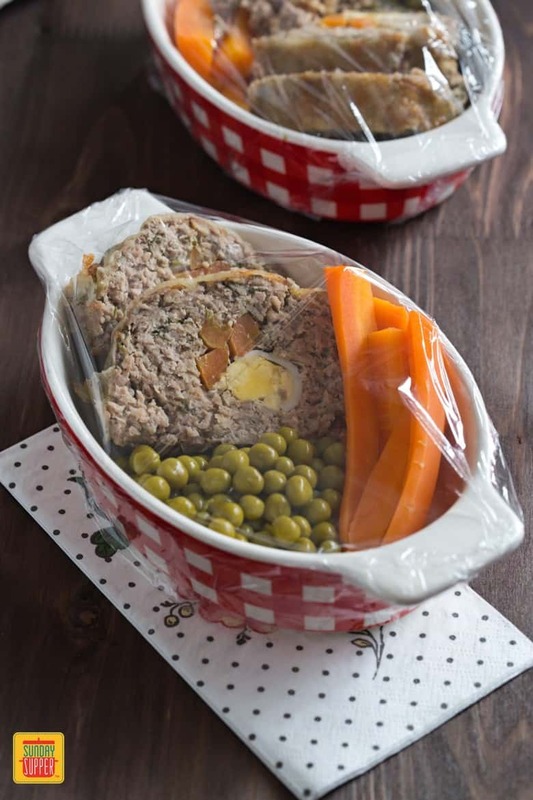 Line a loaf pan with a sheet of baking paper, large enough to cover also the sides. Grease very well the paper with the olive oil. 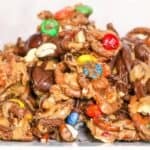 Extend the meat mixture on the kitchen counter lined with a sheet of baking paper. Shape the meat as a rectangle as long as the length of the loaf pan. 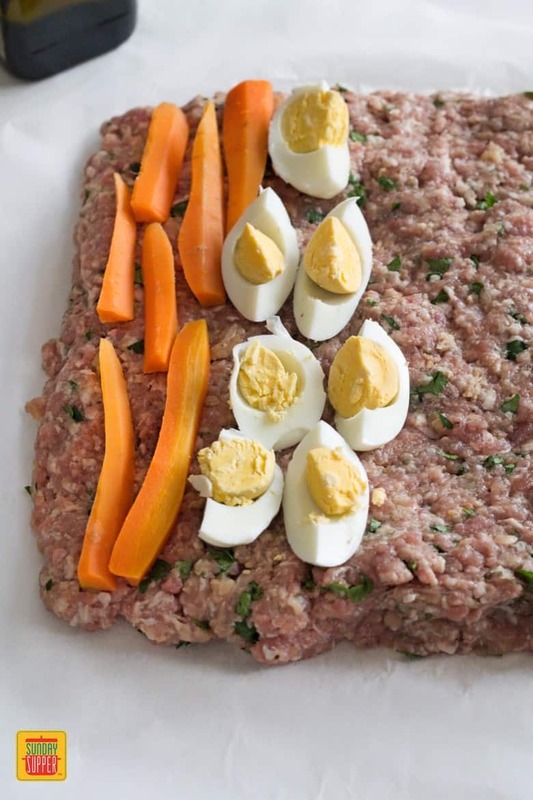 Arrange on one side of the rectangle 5-6 carrot slices and the 8 egg quarts. Roll the rectangle into a log together with the sheet of kitchen paper, starting from the side with the stuffing. Lift the log together with the paper, holding from both ends. Place it in the prepared pan and remove the rolled baking paper, leaving the roll on the greased paper. Bake for about 1 hour at 350 degrees F or until the top and the bottom look well baked. Spread the grated cheddar on top of the roll and bake for 5 more minutes. Remove from the oven and let cool. Slice the roll into about 1 inch slices. Arrange 2 slices in meal prep containers. Add boiled carrots and green peas to fill up the containers. I love the surprise in the middle! Time to make my first meat roll! I love it too 🙂 So glad you like it! 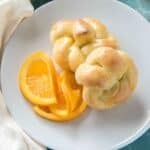 I love the slice and serve way to use these meat rolls for make ahead meals! 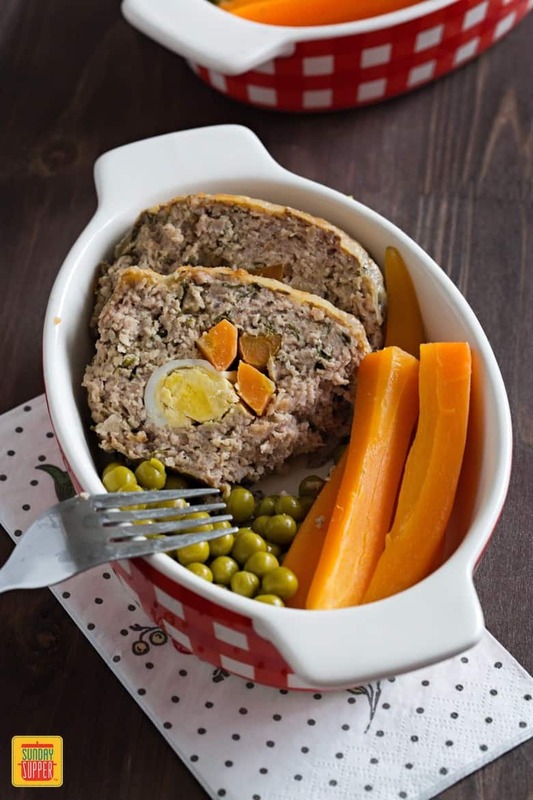 I have never thought of stuffing a meat roll before – this is brilliant! What a fun idea- I love how it looks, sliced!